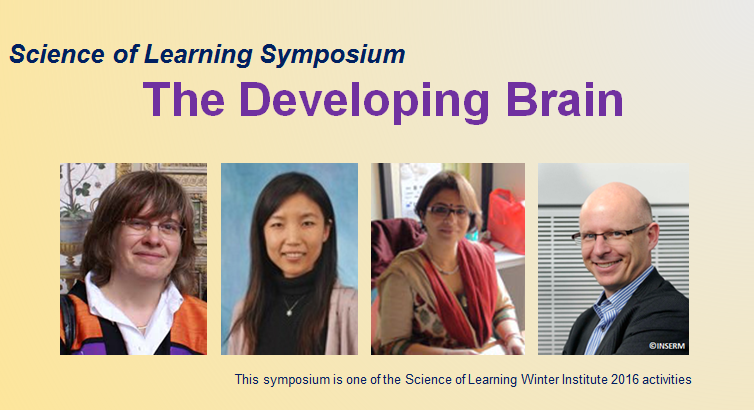 The Education and Neuroscience seminar series will showcase the research findings of international and local experts working in the domain of Science of Learning across all Faculties in the University. Can Brain Imaging in Infants Shed Light on Language Acquisition in Humans? Abstract: Although different human languages use different sounds, words and syntax, most children acquire their native language without difficulties following the same developmental path. Once adults, they use the same specialized networks, located primarily in the left hemisphere around the sylvian fissure, to process speech. Thanks to the development of brain imaging, we can now study the early functional brain organization and examine on which cerebral resources (i.e. the computational properties made available by the activated neural networks) infants rely to learn their native language. I will discuss how results obtained during the first months of life with functional magnetic resonance imaging (fMRI) and event-related potentials (ERPs) might shed light on the emergence of language in the human species. 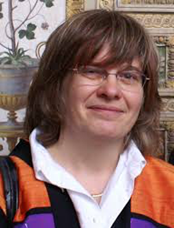 Prof. Ghislaine Dehaene-Lambertz is a pediatrician and the director of the developmental brain imaging lab (INSERM U992, Gif sur Yvette, France), Ghislaine Dehaene-Lambertz is a CNRS full-time researcher (DR1). She investigates the development of cognitive functions in infants and children using brain imaging techniques. Her goal is to understand how complex cognitive functions, such as language, music, mathematics, etc… emerge in the human brain. She published pioneering work using high-density event-related potentials (Nature 1994), functional resonance magnetic imaging (Science 2002) or optical topography (PNAS 2003-2013) to study language acquisition, and the neural signatures of consciousness in the infant brain (Science 2013). She is the recipient of several national and international awards (Prix Justine and Yves Sergent 2013, Grand Prix Scientifique de la Fondation de France, 2015) and has published two book for a general audience with P. Picq., L. Sagart and C. Lestienne “La plus belle histoire du langage”, translated in Arabic, Catalan, Portuguese, Mandarin, Korean, Romanian and Turkish and “Apprendre à lire, ce que disent les sciences cognitives” (2011) with S. Dehaene, C. Huron and L. Sprenger-Charolles. 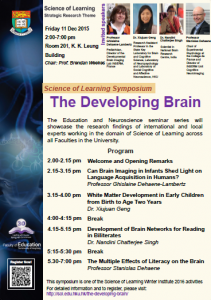 Abstract: Human brain white matter maturation is a complex and long lasting process that begins in the fetal period and continues into adulthood. The most significant period of white matter myelination occurs between mid-gestation and the second postnatal year, accompanying neuronal synaptogenesis and gray and white matter. Robust brain–behavior associations in infancy have been found using DTI and a simple assessment of visuospatial working memory in one year olds. Characterization of normal white matter growth in early years of life has great clinical relevance and could provide important clues to understanding neurodevelopmental and neuropsychiatric disorders, such as autism, schizophrenia, and ADHD, many of which originate from early disturbances during brain structural and functional maturation. We investigated white matter maturation patterns in 10 major fiber pathways, including commissural, association and projection tracts, using a large cohort of 211 healthy young children with longitudinal MRI scans from birth to age two. Diffusion parameters fractional anisotropy (FA), radial diffusivity (RD) and axial diffusivity (RD) were examined with tract-based analysis, providing more detailed and continuous spatial developmental patterns compared to conventional ROI based methods. Overall developmental patterns revealed in our study are consistent with general rules of temporo-spatial white matter maturation. All tracts show significantly increasing FA and decreasing RD and AD in the first 2 years of life, and the changing rates of the diffusion indices are significantly faster in the first year than the second year. The first 2 years of life show a rapid white matter development that is very likely related to rapid gray matter growth and functional maturation, indicating a critical neuronal developmental period of life. This work also shows a promising framework to study and analyze white matter maturation in a tract-based fashion. Dr Xiujuan Geng is a Research Assistant Professor in the State Key Laboratory for Brain and Cognitive Science, and the Laboratory of Neuropsychology and Laboratory of Social Cognitive and Affective Neuroscience at the University of Hong Kong. She received a Master degree in Applied Mathematics from the University of Minnesota, and Ph.D. in Electrical and Computer Engineering from the University of Iowa. She obtained three-year post-doc training in the Neuroimaging Research Branch at the National Institute on Drug Abuse. Before joining HKU, she worked as a research assistant professor in Psychiatry Department at the University of North Carolina. Her research includes methodology development in structural and functional MRI analyses, investigation of early brain development, and neuroimaging correlates associated with neuropsychiatric disorders. Abstract: Reading is one of the more elegant examples of neuroplasticity of the brain. Brain regions specialised for audition and vision rewrite and reconnect to create a brain network that can read. This network starts to develop as a beginning reader at school and undergoes dynamic change to emerge a skilled and proficient reader in adulthood.. To investigate the neural mechanisms of reading between young readers and adult Hindi-English readers, the present study compared used measures of functional neuroimaging and brain connectivity.Brain activity was measured as participants read aloud words and nonwords in English/Hindi during task blocks, and fixated on a symbol string without any oral response in alternating rest blocks. Abstract: By comparing the brains of literate and illiterate adults, we have begun to dissect the cerebral mechanisms of literacy. The results indicate that, during reading acquisition, our brain circuitry recycles several of its pre-existing visual and auditory areas in order to reorient them to the processing of letters and phonemes. The nature of this “neuronal recycling” process helps explain many of the children’s difficulties in learning to read. Three major sites of enhancement are the early visual cortex, the « visual word form area » (a region specializing for the visual recognition of letter strings) and the planum temporale (a region involved in phonological processing). Brain anatomy is also enhanced: the posterior arcuate fasciculus, a fiber bundle putatively linking these regions, is better organized in literates. By demonstrating major changes in a visual-to-phonological pathway, our growing understanding of the neuroscience of reading has important consequences for education. 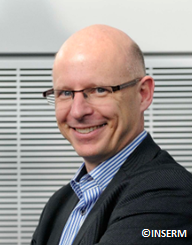 Professor Dehaene is Chair of Experimental Psychology at the Collège de France and Director of INSERM Unit Cognitive Neuroimaging. Dehaene studied mathematics at the École Normale Supérieure in Paris obtained a Masters degree in Applied mathematics and computer science in 1985 from the University of Paris VI and doctorate at the École des Hautes Études en Sciences Sociales (EHESS), Paris. His research spans numerical cognition, neural basis of reading and neural correlates of consciousness. Dehaene received a James S. McDonnell Foundation Centennial “Genius Award” Fellowship for his work on cognitive neuroscience of numeracy, the Louis D. Prize from the Institut de France, the Prix Jean Rostand (for La Bosse des Maths) and the Chevalier de la Légion d’honneur (France).